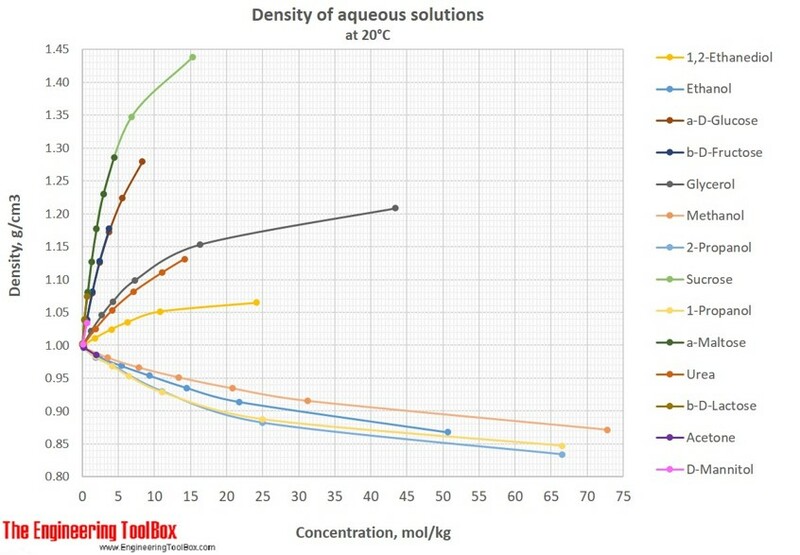 For full table with Glycerol, b-D-Lactose, a-Maltose, D-Mannitol, Methanol, 1-propanol, 2-propanol, Sucrose and Urea - rotate the screen! Engineering ToolBox, (2017). 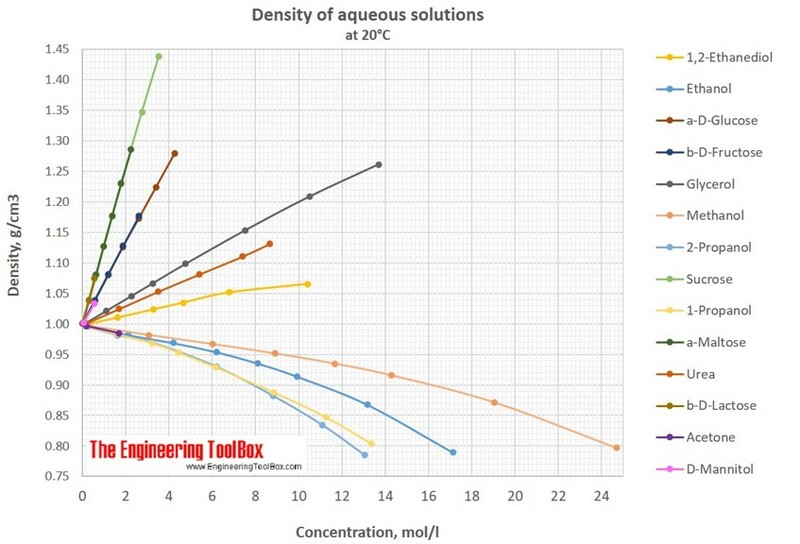 Density of aqueous solutions of organic substances as sugars and alcohols. 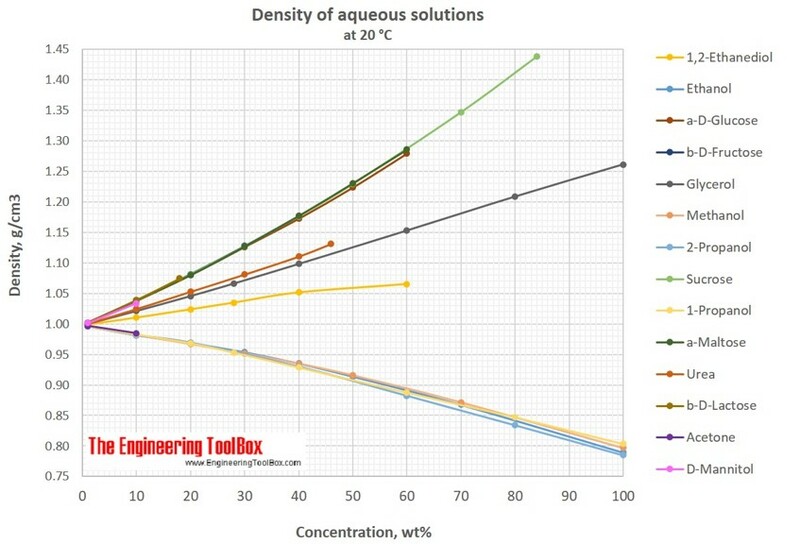 [online] Available at: https://www.engineeringtoolbox.com/density-aqueous-solution-organic-sugar-alcohol-concentration-d_1954.html [Accessed Day Mo. Year].